If you are going to cheat on your diet, this is the decadent dessert to do it with. If you are planning on adding a dessert for your event, this is the place to go. If you want to work with friendly people who love what they do and share their joy of cupcakes, then Patty’s is the place. Patty’s cakes helped us with a large corporate event we were having, and they were one of the highlights of the day. They were able to deliver our large order on time, and everyone was eager to get the party started so that we can unveil their delicious mini-cupcakes with our guests. 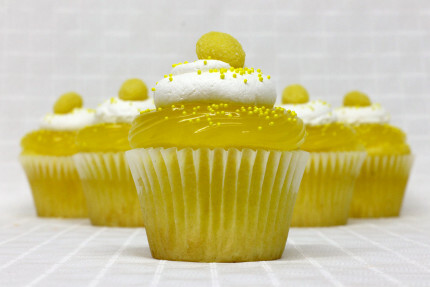 We chose six different flavors, and each one was the epitome of deliciousness. Our thanks to Phillip and his team in helping make out event special. Your mini-cakes helped “put the icing” on our celebration! [Review] All the flavors made my taste buds go wild! I got the Lemon Razzle and Red Velvet w/ Cream Cheese Mousse Cupcakes. They were both to die for!! 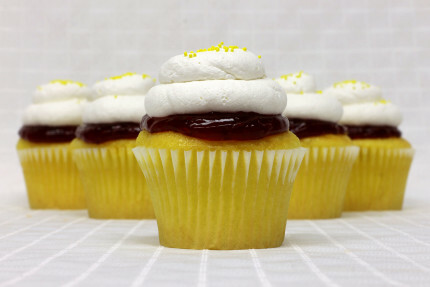 The lemon filling with the raspberry jam in the Lemon Razzle cupcake really complimented the Vanilla mousse on top. All of these flavors made my taste buds go wild! 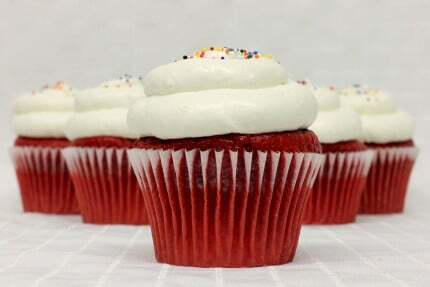 The cream cheese mousse on top of the Red Velvet cupcake was really smooth. It also wasn’t too sweet and the flavor wasn’t too overpowering. It was perfect!! This is why I recommend getting these flavors and why I gave Patty’s Cakes five stars. 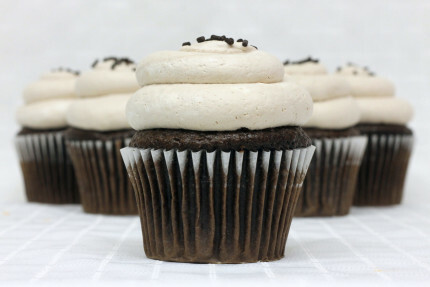 [Review] Great cupcakes and friendly service! A co-worker brought a few cupcakes into the office and they were absolutely amazing! 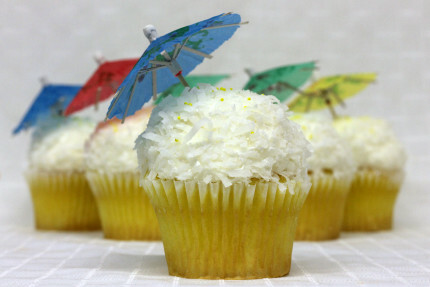 I had one with coconut toppings and some sort of magical filling. I will definitely be coming in for more. 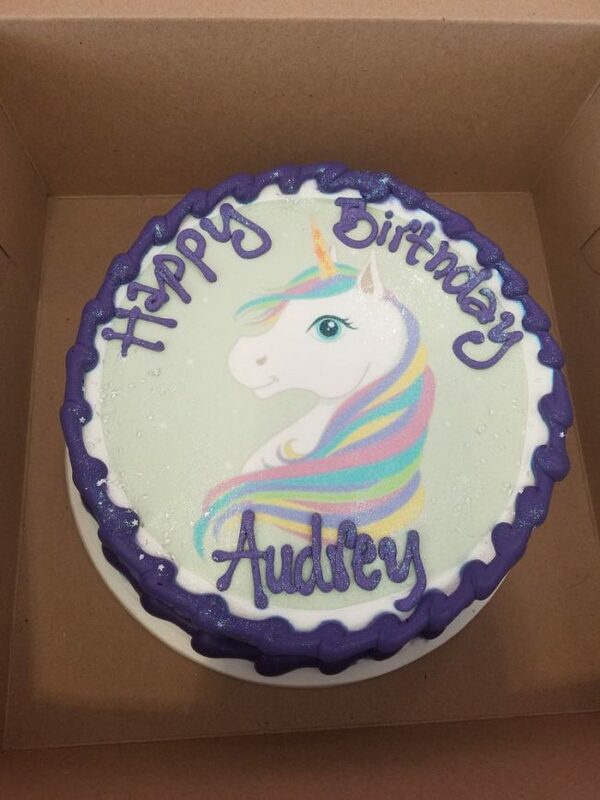 Ordered a unicorn cake over the phone and left it to the gentleman that took the order to make the decision. Only requested they use purple as that’s my daughter’s favorite color. Very very pleased with how my daughter’s 9th Birthday cake turned out. [Review] Absolutely delicious and amazing cake! 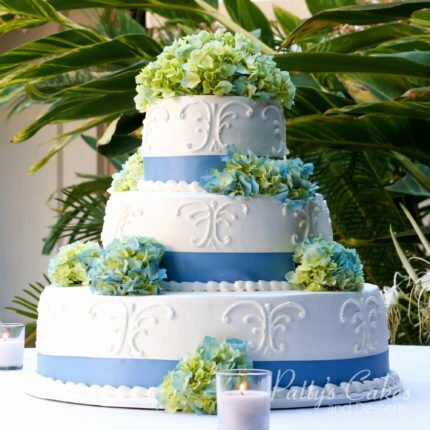 Most delicious wedding cakes! Great customer service. Beautiful designs. Many to choose from. Highly recommend. [Review] Excellent cakes and cupcakes! Excellent cakes and cupcakes. 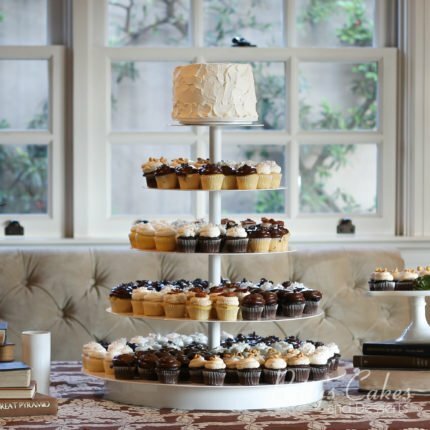 Our family’s go-to spot for special events pastries. [Review] Absolutely delicious wedding cake! We used Patty’s Cakes for our wedding reception in November of 2016. 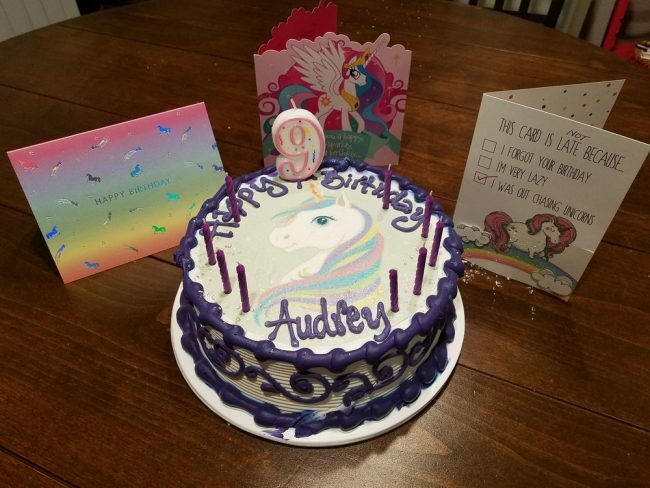 She met with us personally for a consultation on what we would like our cake to be and helped guide us through the decision of what flavors we wanted. We ended up deciding on a white/chocolate marble cake with vanilla Bavarian custard – it was absolutely delicious. 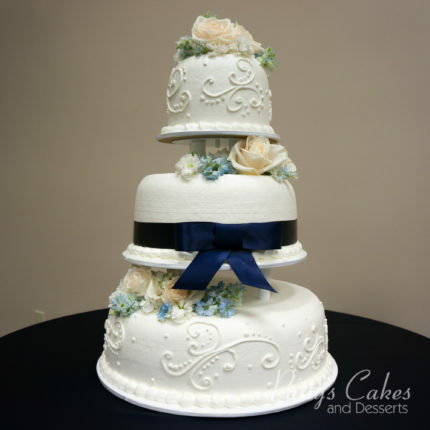 Our cake was delivered at the perfect time and was stunning – more than we could have dreamed! Thank you, Patty, for making our wedding even better! Being more of a cake person than any other kind of dessert, it was very important to me for our wedding to have the perfect cake. With Patty’s Cakes, we had just that. The cake looked beautiful, but most of all, it tasted amazing! 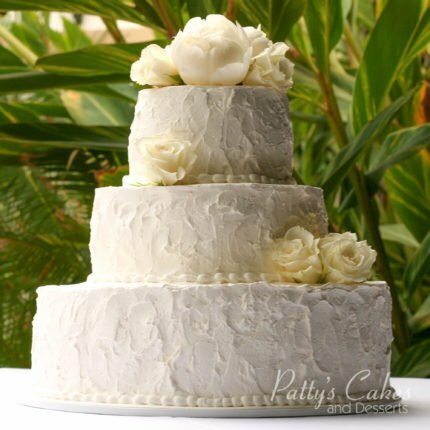 We found Patty’s Cakes through our venue’s preferred vendor list. The venue had a mini bridal show where we were able to taste-test a few cake places; however, the taste of Patty’s Cakes stood out among the rest. And I was also happy to learn that they do not have fondant on their cakes because no one wants to eat that. Before my (then) fiancé even knew it, I had already made my cake vendor decision right there. We scheduled to meet with Philip at their shop in Fullerton to try more flavor combinations and discuss design. He was very accommodating with our work schedules in planning this meeting, which we very much appreciated. My groom already knew what he wanted his flavor to be – red velvet with cream cheese mousse, but I had a hard time deciding our second flavor because everything tasted so delicious. I chose a white cake with strawberry mousse. 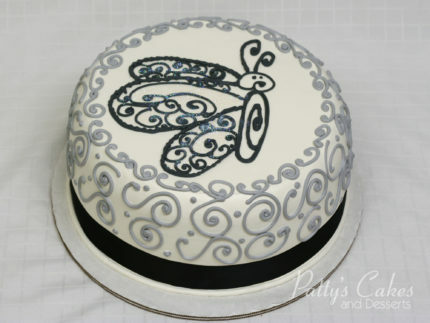 As for the design of the cake, I had shown Philip images from my Pinterest and he was able to draw a mock-up of the 4-tiered cake with a hand-piped geometric design. On the day of our wedding, I was in awe of how gorgeous the cake turned out. The detailing was impeccable. But again, most important, the cake tasted sensational. Many of our ~250 guests told us how much they loved our cake, which I was extremely happy to hear. 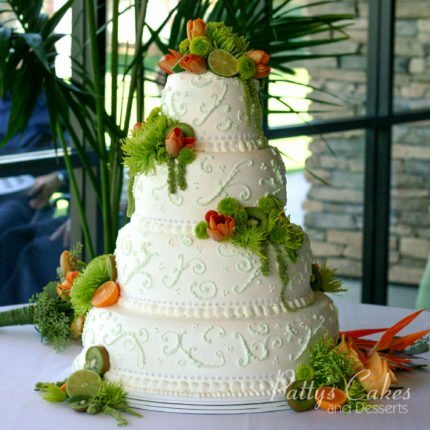 Please consider contacting Patty’s Cakes for your wedding or any other event. your taste buds will thank you.